Audio Record Wizard allows you to merge multi audio files into one file. Step 1: Open audio files, or drag audio files into Audio Record Wizard, in the wanted order. 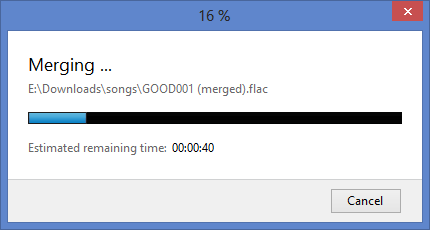 Step 2: Right click any file within recording list, click Merge all to one, then select the target file format. 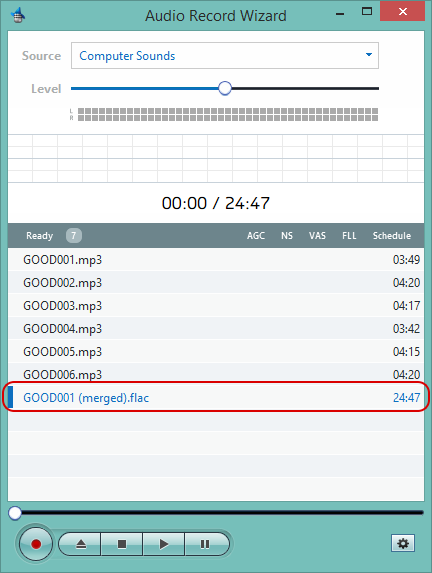 Then, the build-in audio merger will merge all files within recording list into one file. Then, You will get the merged file.